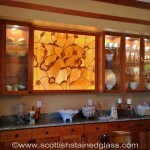 Houston Stained Glass kitchen with stained glass center piece. 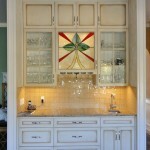 Houston Stained Glass kitchen glass with center cabinet stained glass. 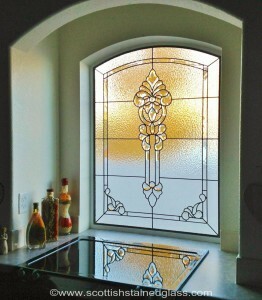 Houston kitchen stained glass with dotted highlights and bevels. 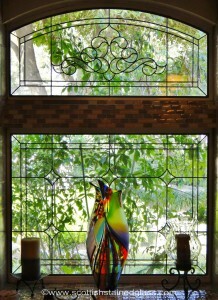 Houston kitchen stained glass window. 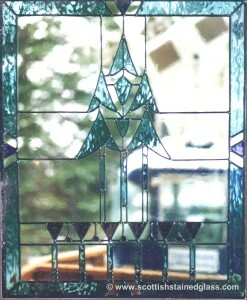 Kitchen Stained Glass Houston with blue highlights. 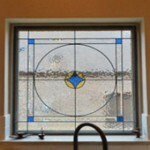 Kitchen stained glass Houston Stained Glass. 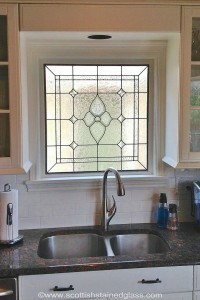 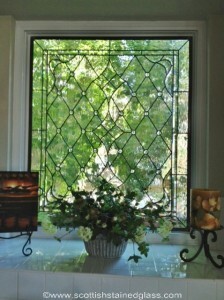 Houston Stained Glass kitchen window with beveled design. 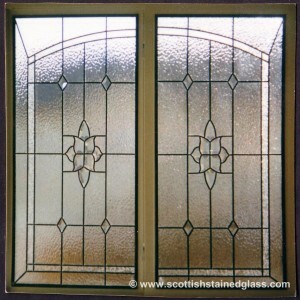 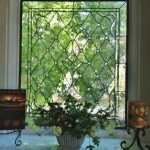 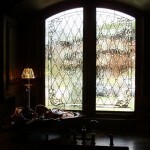 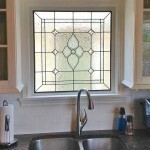 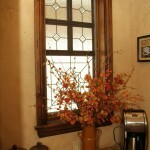 At Houston Stained Glass, kitchen windows are one of our most popular applications. 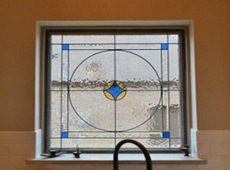 Whether you’re looking for cabinet door glass, or something to fit into your exterior window in your kitchen, you can count on our team to provide you with the best leaded glass windows in the state of Texas. 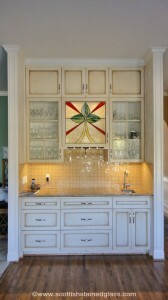 Cabinets are one of our most popular options for custom glasswork, and with good reason. 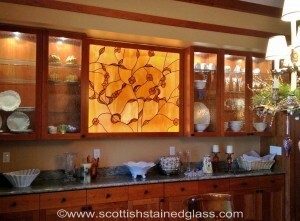 Installing custom glasswork is a great way to add that unique touch of style and design to your cabinet doors, and you can create something that is cohesive with the styles throughout your home! We can actually use your existing cabinet doors, and we are typically able to cut out the center pieces for you in order to replace them with leaded glass. 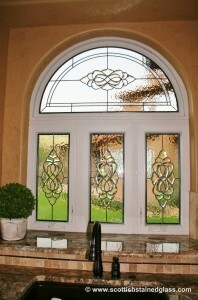 This makes the process simple for you, and we can even pick up the doors from your home! 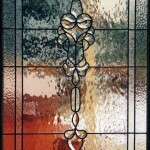 Our experienced installers will take great care in preserving the quality and integrity of your cabinet doors, and the stained glass will be a shining, beautiful addition! 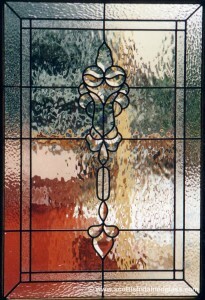 In terms of design, your options are endless. 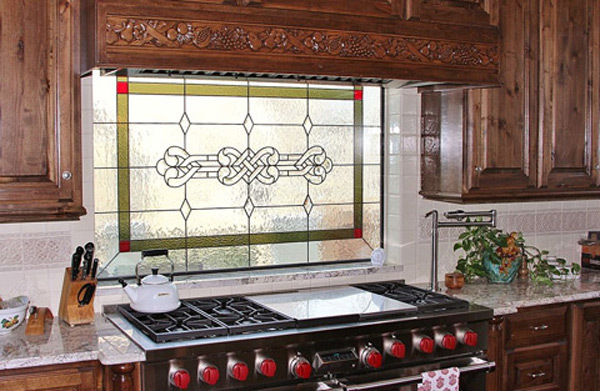 We’ve worked with clients of all varying tastes and personal style preferences, and your designer can help you find a look that suits you and your home perfectly! 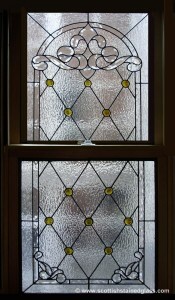 Whether you prefer modern styles like Mission and Art Deco, or something more traditional like Art Nouveau or Mackintosh, we can help! 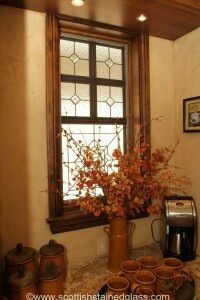 If you’ve got a regular window in your kitchen, privacy from your neighbors may be an issue. 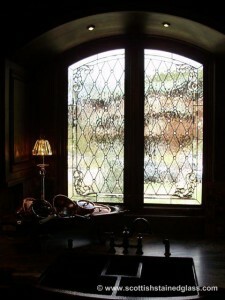 After all, this is the room where you and your family or guests probably spend the most time. 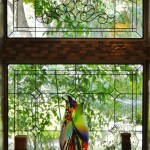 Let our experts show you how stained glass allows sunlight to still shine through, but keeps your space private at the same time. 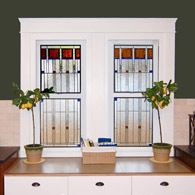 Our process begins with a consultation with one of our experienced designers to go over what styles and designs you like best for your home. 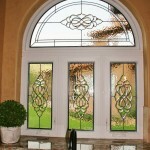 Your designer can even price out several options to help you make the decision. 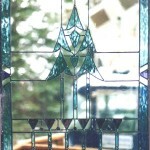 We’ll always bring tons of great photos and glass samples, but in the meantime, we suggest that you browse through the photos on this website, and your designer can start from the looks that you love! 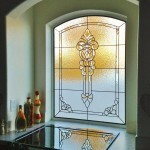 If you have any questions about custom glasswork for your kitchen, contact Houston Stained Glass today. 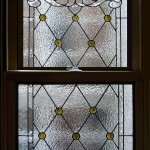 We are always happy to answer any questions that you may have, and we can set up your consultation to get started right away!